The State of the Arts in Canada: Past Show – Scary Monster Beautiful « I'm Trying I'm Trying I'm Trying, Ltd. This spooky, autumn-appropriate show lasted from October 7th until October 18th, as The House of Pomegranates “painstakingly recreated their magical attic studio” in Gallery 1313. The show featured paintings, chapbooks, toys, clothing, and more; and also included interactive events such as a tea party on closing day, and a live headphone-only listening party on the 15th. IT³ made it out to Scary Monster Beautiful on opening night (October 9th), but we’ve been experiencing some intense (and ghostly) camera problems – as seen below – causing this post to be delayed. 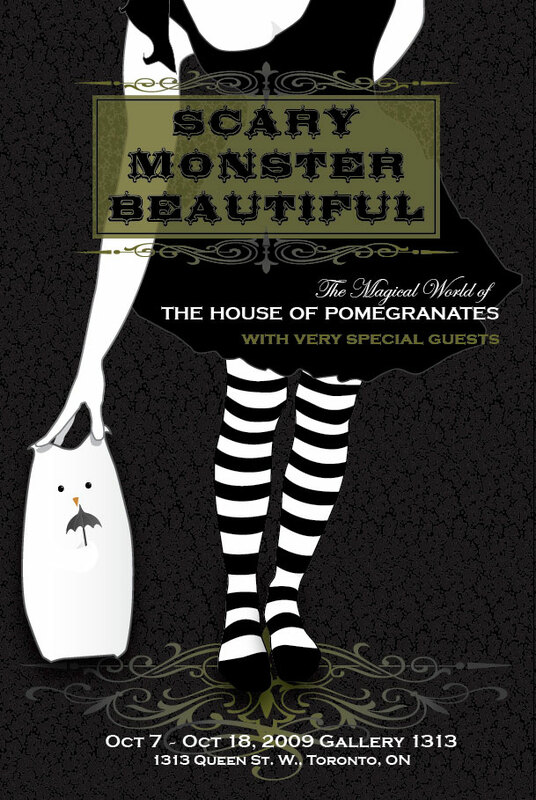 Check out the The House of Pomegranates’ blog for more, and less-haunted, photographs of the show & their events. Oh look, I was at this show; it was good. Подтверждаю. Это было и со мной. Можем пообщаться на эту тему….